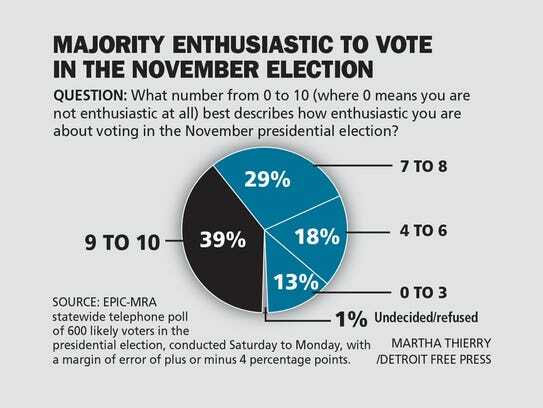 EPIC-MRA conducted a survey of 600 Michigan likely voters between Oct 22 and Oct 24, 2016. Respondents were contacted by either Cellphone or Landline and instructed by a live operator. 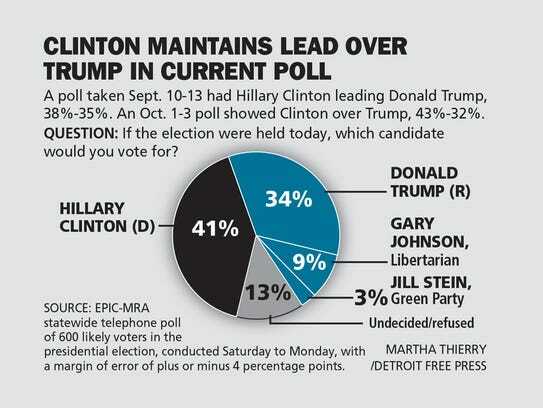 The results of this poll were released on Oct 27, 2016. 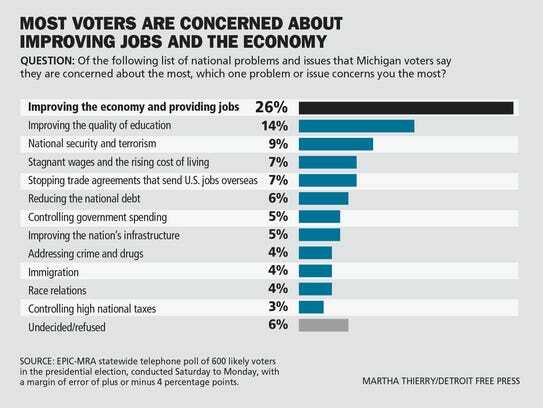 The poll was sponsored by Detroit Free Press, WXYZ TV (ABC: Detroit), WLNS TV (CBS: Lansing), WOOD TV (NBC: Grand Rapids, MI) and WJRT TV (ABC: Flint, MI). The question wording was provided by EPIC-MRA, Detroit Free Press, WXYZ TV (ABC: Detroit), WLNS TV (CBS: Lansing), WOOD TV (NBC: Grand Rapids, MI) and WJRT TV (ABC: Flint, MI).